F.E. McWilliam Gallery & Studio, Banbridge, Co Down, Northern Ireland. 12th February – 16th April 2016. "This exhibition presents some sixteen artists whose work explores the impacts on the environment of our society and globalised economy. Et si on s’était trompé ? What if we got it wrong?, as the performance-poet Lemn Sissay asks us, in measuring progress by levels of industrialisation, expansion and accumulation. The ice and water of the Arctic, veritable barometers of the catastrophic effects of this “progress”, form one of the key elements of this exhibition. A further important strand is geopolitics and its direct links to questions of energy and biodiversity. 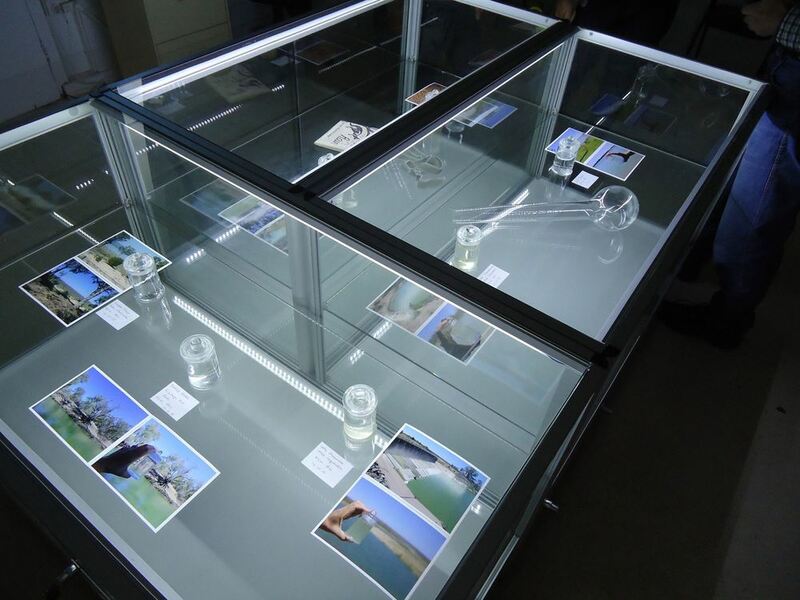 Video and multi-media installations, photography, works on paper and canvases bring the complexities and implications of climate change to the fore in the lead up to the United Nations Conference in Paris. This exhibition is curated by Nora Hickey M’Sichili, director of CCI and will tour to Ireland in 2016." Anna Macleod's work has been included in the upcoming exhibition "Till It's Gone" at the Istanbul Museum of Modern Art, which will take place between 13 January and 5 June 2016. Her work will be in the 'Art Speaks Out' selection of video works. "Till It's Gone" will focus on the way in which the art explores and represents the current ecological crisis our planet is suffering. Water Conversations - Alberta will be present in Art Speaks Out, a 24h Global Art Stream for our Environment organised by IkonoTV as part of ArtCOP21. Date: Sat, Dec 5 from 6pm CET on the Internet. Anna Macleod will be giving a lecture at the Belfast School of Art to the MFA Fine Art students. In solidarity with Broken Hill, Menindee Lake: WE WANT ACTION group and all rural communities in Australia facing water shortages. Supported by the Arts Council of Ireland and SCA, Sydney College of the Arts. 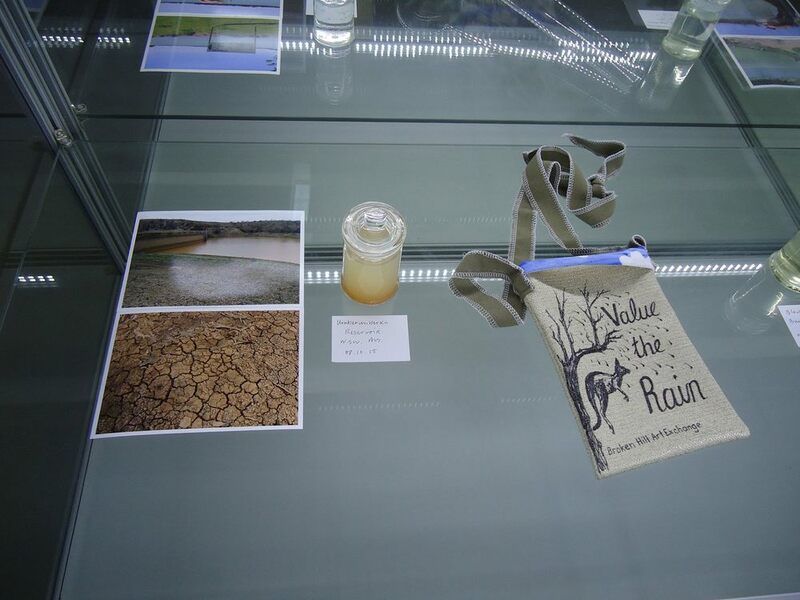 From 'Water Conversations - Broken Hill' exhibition at Broken Hill Art Exchange, "Value the Rain" bags are a collaborative project between Susan Thomas, Georgie Watts and Anna Macleod as a fundraiser for thi art centre which is a non-profit voluntary organisation for the Arts in Broken Hill. Anna Macleod, Artist in Residence at Broken Hill Art Exchange, was interviewed last 7th October on ABC radio talking about her 'Water Conversation' projects and the poster making workshop at Boken Hill Art Exchange. View of my new drawing work You know the well and its cover in group summer show For Them at Voice Gallery, Marrakech, Morocco.